I know that for many quilters, the basting and quilting step is one that slows down the finishing of a quilt. I am just the opposite. If I can get a project to the quilt top stage, quilting and binding are usually only days away. I had no plans to make a log cabin quilt until Julie decided to host the Log Cabin Loonies over on her blog and I just didn't want to be left out. I had picked up the plaid fabrics when I did a Trunk Show Presentation at a guild meeting. They had tubs of plaids and stripes they were selling. I quickly sorted out these in greens, blues and browns. They have been waiting patiently for the right project and I knew a traditional log cabin quilt would be perfect. I used 2.5" centers and 1.5" strips for the blocks. They finished up at 8". I shared how I made the diamond detail in this previous post. My favorite quilt store is closing so I made one final shopping trip to wish the owners luck in their retirement. I was able to pick up a super soft gray brushed cotton for the backing and binding - I knew I was not going to have anything quilt right in my stash. (All the fabric was 40% off so it went into the big stack of fabric I brought home with me). I had so much fun sewing up this log cabin, I decided to get out the burgundy plaids I bought at the same guild meeting and start a second quilt. Something to share at a later date! Great use of those plaids! And it must have been fun if you're already plotting another. Hard to beat plaids in a traditional block like log cabin! This is a great quilt. Love the plaids. Also love the pop of color with the center diamond detail. This is awesome! I love plaids and so perfect with a log block. Your choice of adding those centers really pops the quilt. The plaids are perfect in the log cabin! What a wonderful quilt! The plaids make this a real gem and adding the diamond corners takes this quilt form pretty to outstanding. Beautiful quilt Cynthia! I love that you did it with plaids - makes me want to get out mine and put them to good use. Wonderful! Congrats on another winner! Your quilt looks wonderful especially with the extra pieces in the middle, thanks for sharing how you did this. A lovely use of the plaids. And again, those little centre squares are such a great feature. I've collected any plaids, and now I'm truly sorry that I didn't. That quilt looks so comfortable and cozy. Thanks for sharing and showing us how to put a little color in the middle of the neutral spaces. I am in vast love with that quilt!! It is perfect!! Your log cabin quilt really is lovely, Cyndy! It looks so homey and warm. You are really doing a ton of finishing these days - that's so impressive! This is fantastic! The little diamonds add so much. The colors are gorgeous! Between the wovens and the brushed back, I'll bet this one is super duper cuddly! Very handsome and masculine. Congrats on a fun and beautiful finish! Love the plaids in your log cabin quilt! It almost has a nostalgic feel about it! It turned out beautifully! This quilt looks better with every step! Love it! It turned out great! 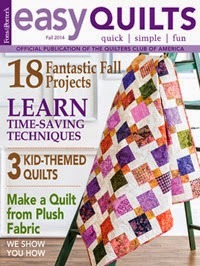 I love the idea of quilting with plaids -- it's not something I've done before. Congratulations on a beautiful finish! It is a beauty and the perfect pattern for the fabric. I'm with you about once a top is done the sandwiching and quilting follow quite soon for me too. A lovely quilt all over. This says "Winter" to me. It looks so beautiful with the variety of white/cream background and the grey/blue plaids. It will be interesting to see the burgundy one finished. I'm thinking this finished about 48 x 64. Is that right? What a wonderfully plaid quilt. It speaks volumes of comfort. I love plaid fabrics also. What a nice quilt! For you to snuggle under, or … well what size did it finish at, do not recall you saying. Looks like a lot of work and it paid off in a beautiful quilt. Love it. I love it! It reminds me of the flannel cabin quilts I made with my mom. We used some very similar fabrics. Love the soft grays and blues, it's a perfect cuddle quilt for fall.